A report surfaced a few weeks ago claiming Amber Heard was close to signing on to the Aquaman movie starring Jason Momoa, but I never got confirmation on the rumor. 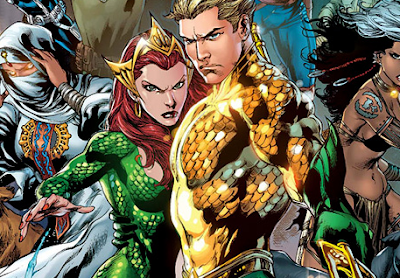 Well, I can now report Heard will indeed play Mera - Queen of Atlantis - in the DC Extended Universe movie. Heard spilled the beans about playing Mera in a recent interview, and she even mentioned trying on the costume for the role. It's believed Heard will appear as Mera in Justice League: Part One, which opens Nov. 17, 2017, and then have a much bigger part in the Aquaman movie (July 27, 2018). Screen Rant has the full story below.